Whoever invented cupcakes, THANK YOU!!! Cupcakes are one of the first things I made as a child. It was easy to take a cake mix and mix it up and spoon it into those little muffin tins. AND, it was much easier to put icing on a cupcake than an entire cake when I was 8 years old! Well, cupcakes are BIG now. There are so many specialty bakeries and specialty cupcakes being made, that some people say a yellow cupcake with chocolate icing seems mediocre. But, I don’t think so. Do you know how many cupcake recipes are out there? So, I rounded up some of the best cupcakes floating around the internet and the ones that kind of take you back to the basics. Vanilla, chocolate, strawberry, chocolate chip....and so on. I promise that once you get through looking at these, you'll be just like me and want to go make some!! AND, they are beautiful. You get to trying to make these and you will look like you ordered these up from the bakery! Did seeing all of these cupcakes make you want cupcakes too? I think any of these recipes would be easy to make and you could take them to any gathering or make them just for fun! I promise, if you made any of these, people would be asking for the recipe. So hit the store and gather your ingredients and get to baking! Quick and Easy King Cake Bites for any Mardi Gras Celebration! Have you ever been to Mardi Gras in New Orleans? When I was in college, I lived one hour away from New Orleans and I never went....I think my dad wouldn't let me because he always thinks something terrible was going to happen me…..(now as a parent I understan!). Anyway, no matter where you live in Louisiana, we all love to celebrate Mardi Gras! Do you have any idea what Mardi Gras even is??? Mardi Gras, or Fat Tuesday, refers to the carnival celebration beginning on or after the Christian feasts of the Epiphany and ending on the day before Ash Wednesday. Mardi Gras is French for "Fat Tuesday", meaning it's the last night to eat rich, fatty foods before fasting for Lent. Modern day Mardi Gras is about music, parades, beads and king cake! People wear the colors of Mardi Gras purple, green and gold. And, these colors have a meaning. The purple represent justice, the green represents faith, and the gold represents power. There are purple, green and gold beads, cups, shirts, pants, shoes, wreaths, shoes....you name it, they have it. Throws and beads are also a big part of Mardi Gras. During Mardi Gras parades, different Krewes would throw trinkets and beads with their emblem on it. These are coveted prizes and you will see many people FIGHTING over good beads, big beads, even a little plastic cup! Masks were worn in the beginning to cover your face and let you be whoever you wanted to be. Rich or poor, socialite or not, you could be anyone under that mask and no one would know who you were. Masks are still worn today at Mardi Gras and add an element of mystery. Mardi Gras is the largest masked party in North America. King Cakes and Mardi Gras just go together! But why king cake? According to tradition, Jesus first showed himself to the three wise men and to the world on January 6th, the Epiphany. This is the day that Mardi Gras season and king cake season start. Each cake has a tiny baby inside, and whoever gets the piece of cake with the baby inside, has to bring the next king cake to the party or office! Which, is the point of this whole post! King Cakes started out as braided rings of dough with purple, green and gold sugar toppings. Over time, they have become quite extravagant. The fillings and toppings come in various flavors and there are so many choices now, it's hard to decide which one is best! So, I thought I'd share with you a recipe of King Cake Bites! I love King Cake, but I don't like the sticky mess of cutting it and serving it or the bulky box that it comes in. So these bites are perfect. You can literally pick them up and bite them, or eat them with a spoon or a fork. You still have the option to fill it with any filling you would like (I used cream cheese), but people put strawberry, chocolate, even pecan praline filling in their King Cakes. My family doesn't like any filling and they like it more like a cinnamon roll, but I love the cream cheese. So this was the PERFECT excuse for me to make some with cream cheese! And, in my true simple fashion, this recipe has 5 ingredients. Yep, I said 5! The first thing I did was take the crescent rolls and take two triangles and press them together to make a rectangle. In a bowl, I combined softened cream cheese, sugar, and lemon juice and beat it with an electric mixer. This is my filling. This is where you could get super creative and fill it however you would like. Sprinkle each rectangle with some cinnamon, and then put a small line of filling down the center of the rectangle. Gently fold the rectangle lengthwise and then cut it into bite size pieces. Place the smaller pieces seam side down on a baking sheet and bake 13-15 minutes in a 350 degree oven. Let them slightly cool. Mix the rest of the powdered sugar and the milk, and spread it on top of each of the bites. Then sprinkle colored (purple, green and gold) sugar on each small square. Do these not look delicious AND easy?? And, not messy when it's time to eat them. These would be perfect for a school party, office party, or even a family gathering. Everyone brings King Cakes, why not be different and bring some King Cake Squares?! AND, ok, my family doesn’t like cream cheese AT ALL…and my hubby doesn’t like the glaze either…he is not a sweet eater…which is why we get along so well….because I get all the sweets! Anyway, got off course AGAIN!!! For them, I made some King Cake Bites that were just butter and cinnamon…. **I have linked the products that I use below the recipe! These King Cake Bites are PERFECT for any gathering and are quick and easy to make! Kids love to help make them and to eat them and you can customize them with any filling that you would like! 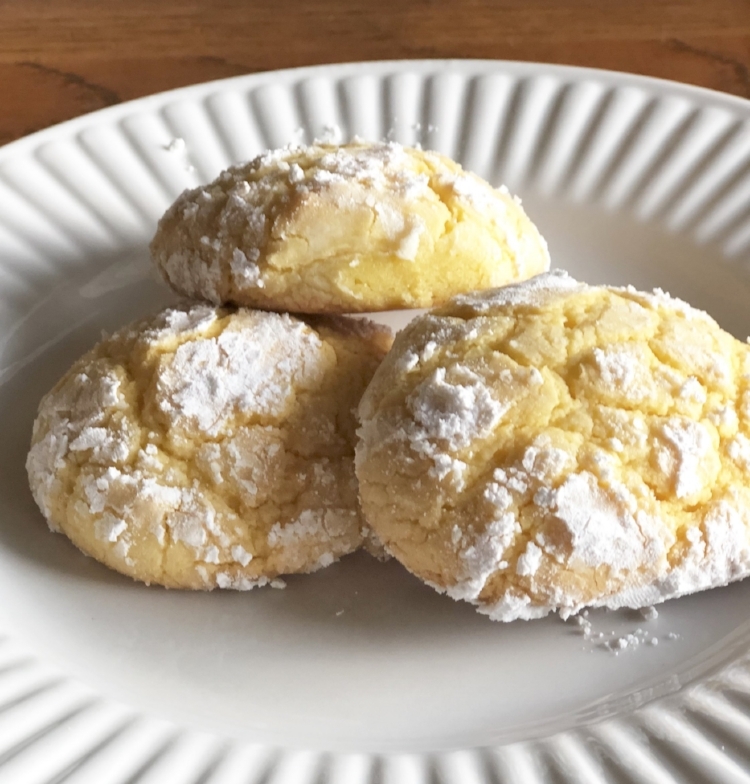 With an electric mixer cream powdered sugar, cream cheese and lemon juice. Take crescent rolls and press the seams of 2 triangles together to form a rectangle. Scoop the cream cheese filling into the. middle of the rectangle down the longest side. Roll the crescent roll lengthwise and cut it into four equal squares. Place the squares on a cookie sheet and bake for 13 - 15 mins in a 350 degree oven. Mix powdered sugar and milk. Put about 3 Tbsp granulated sugar in separate bowls. Make colored sugar using purple, green and gold food coloring. Mix the glaze and color the sugar while the King Cake Bites are cooling. When they are cooled slightly, pour the glaze on the squares and then sprinkle the sugar in a diagonal pattern. 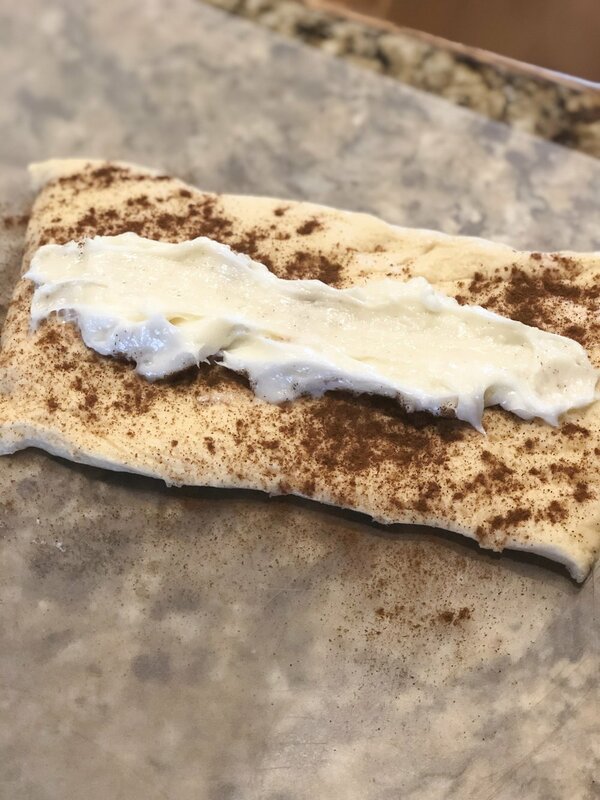 You can customize this filling any way you would like by adding fruit jam with the cream cheese, using chocolate, or just using butter and cinnamon sugar. You can also change the color of the sugar for whatever occasion you are making them for! You have got to make these and make them now! This recipe will make about 32 King Cake Bites AND skips the mess when it’s time to eat them! Literally pick them up and pop them in your mouth! They are perfect for any occasion and took me about 30 mins to make total! Are You Busy With After School Activities but Don't Want to Eat Fast Food? Easy Crockpot Lasagna! 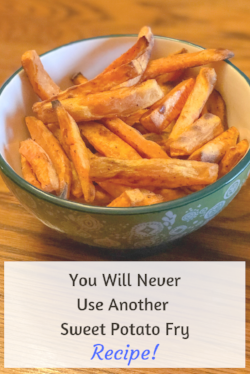 You Will Never Cook Sweet Potato Fries the Same After Trying This Recipe! Do you love the smell of fresh-baked bread? There really is no other smell like it. Some people feel like it smells like "home". But, do you avoid making it because you feel like it will be too hard? Well, if you know anything about me, you know that I am ALWAYS looking for a quicker and easier way to do things and still have a great tasting product. My shortcut for this one? The bread machine. I know that sounds do 1998....Chad and I got a bread machine the year we married (1996) and I immediately went to the store in search of bread machine mixes. They had anything you could hope for. Blueberry Bread, Raisin Bread, 9-Grain Bread, and on and on. And I went to making bread in the bread machine. It was good, and it lasted for a little while, but for some reason I just kind of quit doing it. I do not know why? Fast forward what seems like 200 years! My Emily LOVES bread. Like loves, loves, loves it. So one day i decided to pull out the bread machine and make homemade bread. But I didn't have a bread machine mix to make it with. So, I did what any good mom who spoils their children would do....I decided to see if I could make bread in the bread machine from scratch. I know! WHY WOULD YOU DO THAT? But it is actually 1,000 times easier than kneading it and blah, blah, blah. There are so many recipes on the internet, but I finally perfected one that we love. And, I told you it was simple...it is literally dumping ingredients into the bread machine and pushing a button. I'm not joking. I put some sugar, warm water, yeast, flour, salt, and vegetable oil in the bread machine and walked away! 2 hours later, I had hot, fresh, homemade bread! First thing I did was combine hot water, yeast and sugar in the bread machine and let it stand for 6 - 12 minutes. The yeast should foam. While I waited for the yeast mixture to foam, I sifted the flour and salt into a separate bowl. Once the yeast, water and sugar foamed, I added the rest of the ingredients into the bread machine. I closed the lid and chose the basic white cycle and left it to do it's magic. Look at this beautiful specimen!!! AND, my house smelled A.M.A.Z.I.N.G.!!! Take my word for it! Want to try it? Here is the recipe! I'll note down at the bottom what to do if you don't have a bread machine. It's a little more work, but same great taste. Put hot water, yeast and sugar in bread machine and let stand 6-12 minutes. While yeast is foaming, sift flour and salt. Add salt, flour and vegetable oil to the bread machine and close the lid. Set the bread machine to rapid or basic white cycle. Enjoy the smell of fresh baked bread and eating it once it's finished cooking!! Combine ingredients the same way. Add yeast and sugar to hot water and let foam. Sift flour and salt. 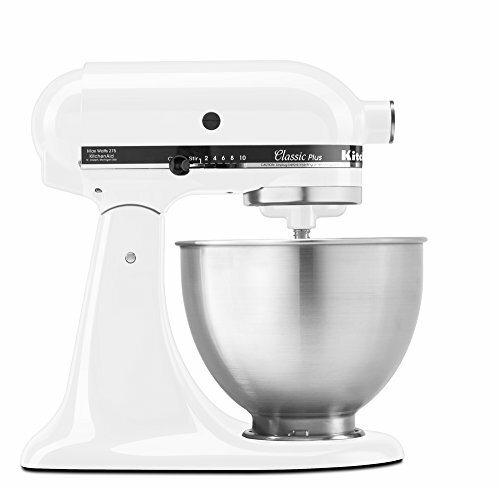 Combine yeast mixture, salt, vegetable oil and about 2 cups of the white flour in a mixer. Add 1/2 cup flour at a time until the dough is not too sticky. Put the dough in a bowl and let it rise for an hour. Then, divide it into two equal balls. Place each ball in a loaf pan and cover with plastic wrap. Let them rise for another hour. Bake in a 350 degree oven for 25-30 minutes. Pull it out of the oven and brush the top with butter. Let it rest for 10-15 minutes before cutting. This bread will make you want to keep baking it over and over again! Don’t Want Your Thanksgiving Leftovers to Go to Waste? 5 Ideas to Transform Them Into Entirely Different Dishes! 6 Main Dish Ideas for your Thanksgiving Dinner Instead of the Basic Turkey (or in addition to)! You finish up a long day of work, or you've been at extracurricular activities with your kids, OR you just don't feel like preparing a heavy, labor intensive meal. But, you don't want to go through the nearest drive through either because you are trying to save money AND feed your family 1/2 way nutritious meals! What to do? I have a fabulous idea that is so easy and simple you will wonder why you haven't done it before. Individual Pizzas.....now I know you are thinking "Jennifer, I have thought of that, you aren't telling me anything new!" Well, I have made A LOT of individual pizzas and I have tried A LOT of different ways to make them. I don't have a pizza oven in my kitchen (I guess like most people), but I still want my crust to be crunchy and hold up to whatever ingredients I choose to put on it. I think the key to this is the crust! And, I have tried A LOT (the theme here is A LOT!) of different kinds of pizza crusts for individual pizzas. Let's see, I have tried a flour tortilla, canned pizza dough that I cut in small circles, and even French bread. But, none of them have really satisfied my crunch I like in a pizza. They were either too soft, or they wouldn't hold my toppings and they would slide off the whole piece of pizza. I am then left with crust in my hand, and all of my toppings on the plate! Not good. But, never fear, I found the answer! What is it? TA-DA: Pita Bread!! Yes, pita bread.....and let me tell you it is fantastic! You really can go about assembling the pizza any way you want, but I do have a little method. Before I started assembling this little gem, I sautéed some onions (sometimes I do mushrooms too, but I didn't have them this day). Anyway, I had everything out and ready to go and it literally took a hot minute to get these together, in the oven, and on the plate. Like 12 hot minutes! I started by putting pizza sauce on the pita, and then I put cheese (don't tell me why I always thought the cheese went on top? But, I read something that said to put the cheese on the bottom, then toppings, then a little more cheese, and all of your toppings will stay on your pizza!). Then I put my toppings, a little more cheese, and popped those babies in the oven, and 12-15 minutes later, I am eating me some pizza. And it is good! And the crust is crispy AND it holds all of the toppings! Now, sometimes, if it's just me and Chad, or I'm just fixing one, I will not heat my big oven in my kitchen. Chad got me a Black & Decker Convection Toaster Oven and it is literally the bomb.com. It works just like my big oven, but heats up faster, cooks a little faster and doesn’t heat up my whole kitchen. I mean, doesn’t this look delicious??!! So if you are looking for a quick dinner OR snack for you, your kids, your hubby, whoever (I fed this to my whole family for dinner), this is the ticket. And, one of the best parts about it, is that you can individualize them to what each person likes! Ok, so now I got to go, I made myself want this pizza!! So, my sister, Tracy, got an Instant Pot last year in December, and she has told me all year how much she loved it. And, I have seen all over the internet and all over Pinterest that it was the "rage". -You can put all of your ingredients in the pot together and cook them for 30 mins to an hour and have supper just like that! -It cooks everything super fast and it still comes out tender and delicious. -You will never cook hard-boiled eggs the same again. And, that is why my sister is a die-hard fan. You see, Tracy makes these deviled eggs THAT. ARE. TO. DIE. FOR!! She makes them every year for Thanksgiving and Christmas and we literally have to hide them until it's time to eat because we will ALL eat them ALL before lunch has even started. Anyway, she said this Instant Pot was a game changer when it came to hard boiling eggs. You know, I've always boiled them on the stove, and quite honestly, it's hit or miss. Sometimes they are perfect! Easy to peel and the yolk is a perfect yellow color...but usually, it's not that fairy tale story. More often than not, I'll at least have a few that are hard to peel, and there is a not so nice gray outline around the yolk. Ok, so guess what? I got an Instant Pot for Christmas! Yay! I got THIS ONE and I love it! I couldn't wait to use it either. 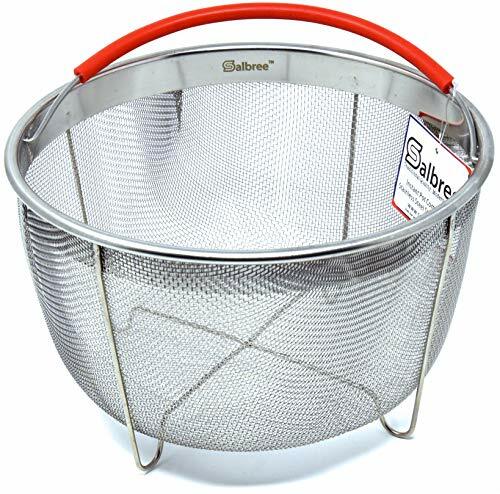 Mine didn't come with a basket, so my sister did what any good big sis would do....she ordered me one:) She ordered me one LIKE THIS and she knew what she was talking about. And, yesterday, I decided I was going to try doing hard boiled eggs in it. (I will link both of these at the bottom of the post with pics). Well, I don't ever doubt my sister, because she's older than me and she knows what she's talking about (I tell her that all the time, UNLESS I'm telling her what to do!!!). And, again, she was right. I hard boiled 8 eggs and they were perfection. Now, I read up on hard boiling eggs in the Instant Pot and there were so many options, it kind of made my head spin...super soft boiled, soft boiled, medium boiled, hard boiled, super hard-boiled. I'm like, just cook the dang egg! I did figure out that I don't want that yolk soft or super soft....I DO NOT need a squishy boiled egg. So it I cooked the eggs for 8 minutes (which is the second to last hardest yolk) and they were perfection. The directions say to take them out of the pot and put them directly in an ice bath to stop the cooking process. These eggs hanging out in their ice bath! So, I did as I was told. I let them cool about 15 minutes and took to peeling....and they really were the easiest I have ever peeled boiled eggs. Like EVER. The eggs, with the peel off, were so smooth. I don't think I've ever made eggs like that. Mine usually have a few holes in them and part of the white pulled off. I mean look at these, they kind of don’t even look real! So, I cut one of them open and it was the prettiest yellow yolk you've ever seen. It didn't even have that dark line of gray that it normally has! I looked at them for a long time, just in satisfaction because I have battled boiling eggs for years. And then I decided I had to do something with these 8 eggs! So, I decided to make deviled eggs (which I didn't photograph and they didn't taste near as good as Tracy's). But they were good and my family devoured them. And I'm so glad I finally got the chance to try cooking them in the Instant Pot. My days of boiling them on the stove are OVER. This INSTANT POT has been a game changer for me. I mean, I've read lots of reviews of people that love it, and I've even read quite a few people who have said it is way over-rated. Well, let me tell you, I love it and I have used for so many things just in the past month I've had it. It has changed the way I cook supper for the better. I can't wait to show you all more of the things that I am making in the Instant Pot and you will see how fabulous it is! Okay! Here is the recipe that I used! Put 1 cup water in Instant Pot insert. Place eggs in the instant pot basket. Close the lid and the steam valve. 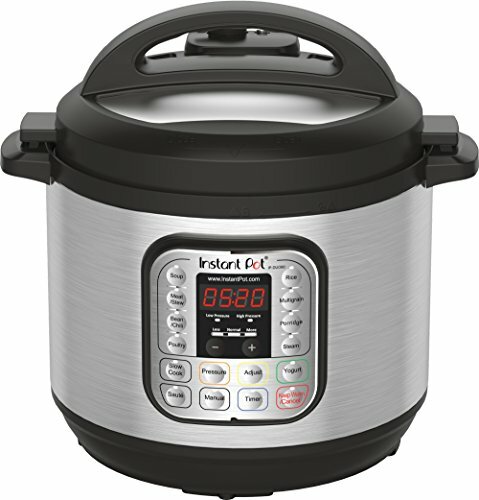 Set Instant Pot for 5 minutes on Manual at HIGH pressure. Allow pot to release the pressure naturally for 5 minutes, then very carefully quick release any remaining steam. Remove eggs from the ice bath and either peel or store in the refrigerator until you are ready to use. So, I must admit that I am not a big smoothie lover. But, I've been eating cereal for lunch for almost two years because it's low in calories and mostly super quick and convenient so I don't have to spend my entire lunch hour pulling out leftovers, plating them up, heating them up and on and on. You plan and organize and stress over Thanksgiving. You have family coming and you want everything to be perfect..or you are just fixing for your immediately family and you still want everything to be the best that it can be. And it is! The turkey is perfect, the dressing is to die for, and dessert hits the spot. And then it's over. All the hype, worry and preparation, and it is over just like that, AND you are left with a ton of leftovers...ughh. What are you going to do with all of this leftover food? Well, I have gathered a few ideas to help you decide what to do with these things. Literally 5 ingredients, didn't even have to pull out my mixer! I have made chocolate chip cookie bars from scratch, but I decided to try these with a yellow cake mix just to see if it tasted different and if it tasted good? But, you literally, dump 5 ingredients together, mix with a spoon, and pop it in the oven. I mean, you could go buy some from the store (although I haven't actually seen these in the store)....anyway, you'd still have to get in your car, go to the store, go IN the store and blah, blah, blah. A yellow cake mix - any kind any brand. Add 1/2 cup melted butter. Add 1 teaspoon of vanilla extract and 2 cups chocolate chips. All you have to do is mix it up and put it in a 9 x 13 baking dish. Place in a 350 degree oven for 20-25 minutes. Allow them to cool and cut into squares. Doesn’t this look delicious?? I cannot get into eating raw cookie dough because I would incriminate myself! Combine cake mix, eggs, melted butter and vanilla extract. Mix well. Add 2 cups chocolate morsels. Put in a 9 x 13 baking dish and cook 20-25 minutes at 350 degrees. 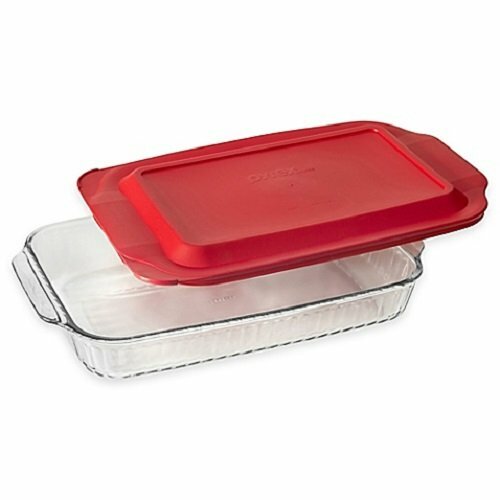 I like to use my Pyrex dish like this and it has a cover, so if I am going to a party or a friends house I have a cover, or it’s awesome to just cover it to keep them fresh! Y’all go make these (i’m sure you have everything in your pantry already)! And let me know how much you like them!! I’m on my smoothie making spree again. This time, I did strawberry banana and I have to say…it is pretty amazing! I made it once to make sure the recipe was the right flavor and consistency, and I have probably made it at least 2 more times in the past week! So, it’s a winner. Like I said in my Mixed Berry Smoothie post, I use the NINJA, BLENDER/FOOD PROCESSOR, to make my smoothies. I had a blender, but I have found that the Ninja just blends everything better. 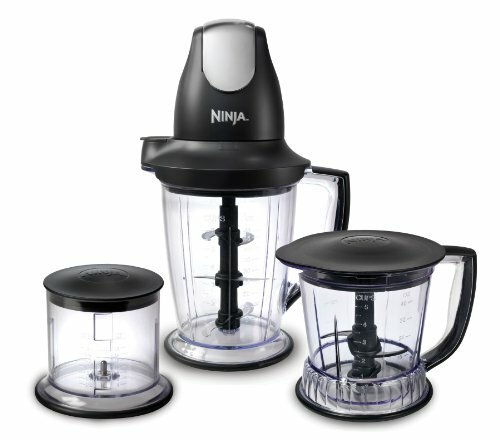 In a blender, the blades are just at the bottom, but in a Ninja, the blades are all the way through the center of the pitcher. It’s quite fascinating can you tell? lol! Another thing I LOVE about the Ninja, and especially the set that I have linked, is that it comes with different size pitchers AND it includes a lid to go on it. So, when I’m in a rush, make a smoothie, don’t drink it all, I just pop the top on the pitcher and stick it in the fridge!! It’s amazing! (At least in my world this is amazing!) I have added a picture of the Ninja that I purchased, at the end of this post. Here is the recipe and I, of course altered the original recipe, because that's what I do!!! The original recipe calls for vanilla yogurt, and I used strawberry yogurt. I wanted more strawberry and less banana taste, because, in case you didn’t know already, I DON’T LIKE BANANAS!!!! Also, if you notice that little stainless steel straw in the smoothie below? I. LOVE. THOSE. THINGS. They have a wider mouth (which is better for drinking smoothies and milkshakes) AND they keep it so cold. I bought them here, and I will put the pic and link at the end of this post. We use them for everything because they are awesome! *If you do not have a frozen banana, add 1/2 cup more yogurt and a handful of ice. 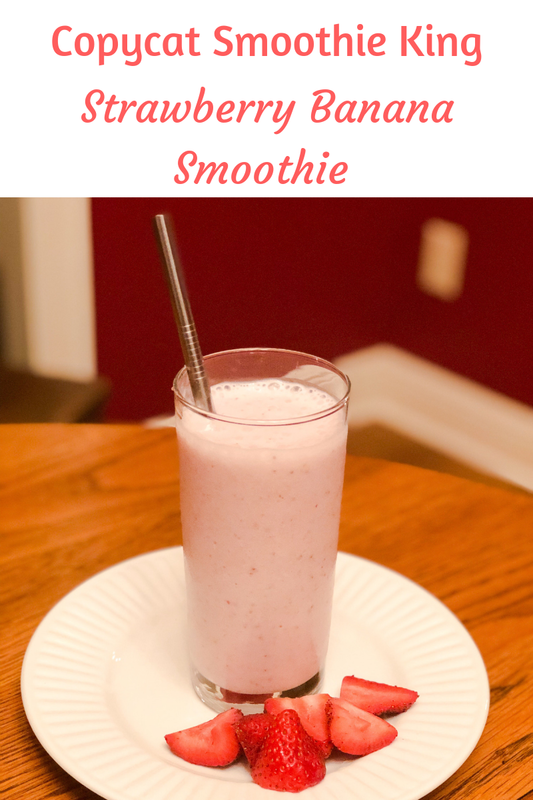 So, go try this smoothie and let me know how you like it! My family thought it was a for sure hit! And you can add anything to it. If you add a protein powder or energy mix, just add it in and blend it! One of the main things that can help round out a Thanksgiving feast is a good assortment of beverages, both alcoholic and non-alcoholic. 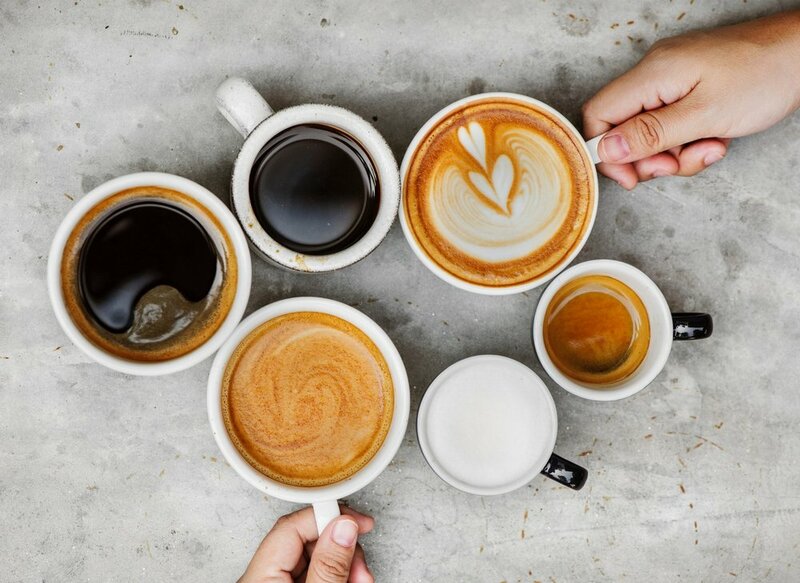 There are several ways to offer a variety of drinks and save money if you are prepared to spend the time and effort. Soft drinks such as Coke or Pepsi, Sprite or Seven-Up, are popular at the holidays - especially with children. Buy them at a warehouse club or when the supermarkets have them on sale. I also recommend staying away from the canned ones. They tend to get opened and left sitting around to go flat and basically wasted. Sodas that mix with other drinks include seltzer, club soda, tonic water, ginger ale, and so on. Seltzer is well-suited to making wine spritzers, which can lower the cost of each drink you serve your guests. Ginger Ale is a great beverage to put in a punch, whether it be alcoholic or non-alcoholic, it gives it that extra fizz of refreshment! Cranberry juice is a must at Thanksgiving. Orange juice is good for cooking and drinking. Apple juice is also a standard all year round, but particularly in the autumn. Apple cider, which is thicker and cloudier, is ideal for hot apple cider with spices. Look for large bottles of apple juice or bottles of cider at a warehouse club or the supermarket. These drinks are a nice way to end the meal. They are also tasty with your dessert course. Avoid single cup coffee makers. Buy grounds and make them in a conventional pot. 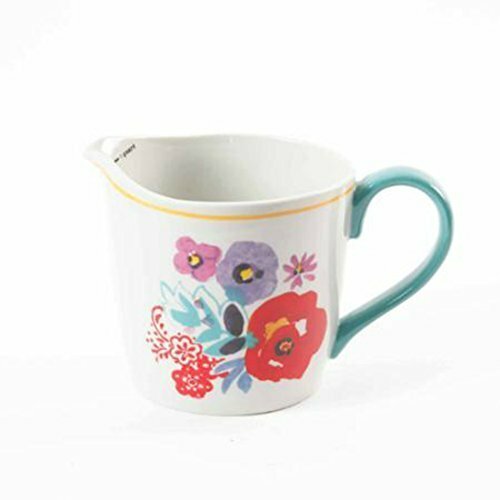 Use loose leaf tea for more flavor and less chemicals. Make your own hot chocolate using real milk and cocoa powder. Add a dash of cinnamon or a cinnamon stick if you wish, and a dollop of whipped cream. You can control how much sugar you put in compared with boxed mixes, and your own homemade cocoa will usually work out more cheaply as well. You can also use non-dairy nut milks if you prefer, such as almond or cashew. The coffee and tea can also be as a base for iced tea and iced coffee. 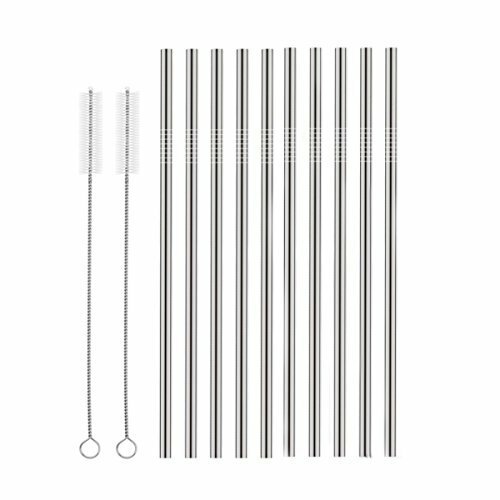 You will most likely need these in a range of recipes. You will also need more milk for coffee, tea, and cocoa. If you have guests staying in your home, you will probably need even more for beverages, cereal, and so on, especially if you have small children visiting. Buy these in bulk at a warehouse club. These are useful for anyone who is lactose intolerant or vegan. Choose from soy, rice, almond, oat and more. Look in your supermarket, warehouse clubs or buy in bulk online. Some shopping apps actually give you a discount for the wine and spirits you purchase. Two worth registering with are Checkout 51 and Ibotta. 10 Ideas To Help You Become The Side Dish Queen At Your Thanksgiving Dinner! One of the best things about a Thanksgiving meal is often the side dishes that go with it. They add color, taste, texture and variety on the plate and they are also a really good way to save money. Plan on serving 4 to 8 ounces of turkey to your guests, but let them load their plates and fill their stomachs with inexpensive side dishes. I love to bring side dishes to our potluck Thanksgiving. And, I love to eat the ones everyone else brings! Here are some great ideas for side dishes that won't break the bank! Biscuits are great as a bread on the side and perfect for mopping up gravy. They are warm, filling, and the smell when they bake really says it is holiday time. If you can make biscuits from scratch...more power to you. I am a frozen biscuit or canned biscuit kind of girl (especially when I am preparing a BIG meal). Cornbread is another cheap, easy and filling option. 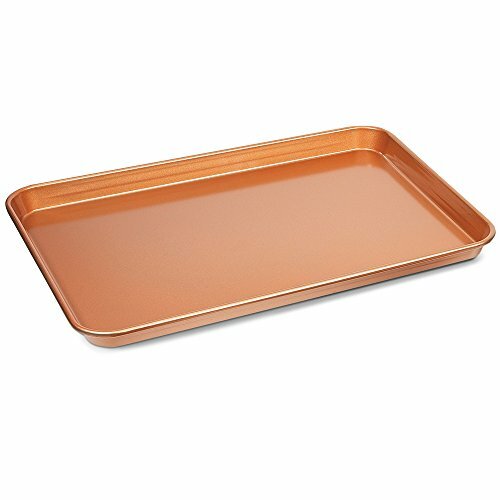 Bake up a few pans of it to use as is, or in other recipes. Use any leftovers at breakfast the next morning. Cornbread is a staple in our cornbread dressing here in the South. You can also make stuffing using your own homemade cornbread. Cut it into cubes, toast them, and then cook as you would bread stuffing. If you aren't into making homemade cornbread, it's ok to use the mix and help you get a little further with your preparations. Cornbread mix is not expensive at all. This is what I bring to Thanksgiving at my sister's house and it is a crowd pleaser! Fresh cranberry sauce is easy to make. When making it yourself, you can adjust the sugar, add orange or apple juice for natural sweetness, and so on. If you choose to use the canned cranberry sauce, it is on sale always around the holidays. This cheerful orange vegetable is very cheap and will go a long way towards filling up your guests. Cook in the microwave like a baked potato and top with some brown sugar or cinnamon, or boil up a pot to mash for a sweet potato casserole. To the mashed sweet potato, add milk, butter, brown sugar and/or maple syrup, and cinnamon and nutmeg. Bake and eat as is, or add a layer of marshmallows to the top and cook until just brown and puffy. Some people do a crunchy topping that is to die for. Bread stuffing is a great way to use up any stale bread you might have. Make sure it is dry, not moldy. Mix with herbs. Add onions, celery and broth and you have a filling dish to stuff a whole turkey with, or serve on the side. Corn is very filling, and eating from the cob can be a lot of fun. You can also eat with a little butter, or make your own homemade creamed corn with milk. I like to cut the corn off of the cob and fry it in a skillet with a little butter, salt and pepper...OMG...My sister make a corn casserole that I look forward to every year and it is quick and easy too. This is a staple on many American holiday tables. Most people make it using canned cream of mushroom soup, canned green beans and a can of French-fried onions. These items are all readily accessible and inexpensive at your local grocery store. If you choose to make them with fresh green beans, that's awesome too! I also bring this to my sister's house and to my in-laws every year. One year I thought maybe they were all tired of it, so I skipped it....won't EVER do that again! I had some family members unhappy with me. Basically, don't fix it if it ain't broke. Nothing could be easier than some baked Idaho potatoes with butter, sour cream and chives, or cheese. They are cheap and filling, and add a restaurant-touch to your homemade meal. If you are more of a mashed potato family, just mash them while they are hot and add your butter, salt and milk to them and voila'! Mashed potatoes for Thanksgiving. So whether you are hosting Thanksgiving or attending a potluck Thanksgiving, these are some great ideas of side dishes that are inexpensive and easy. Add them to your list of goodies to bring or serve and I promise, your guests (or you) will leave with a happy tummy! Thanksgiving is 10 days away....oh my. I feel like it snuck up on me...but I have had a ton going on, so maybe that's why? Anyway, some people host the entire Thanksgiving dinner at their home and provide all the food, drinks, everything....well, in my family and my husband's family, we all bring something (1 or 2 things) and it's one big potluck dinner. And, I LOVE it that way. There are certain things that people bring, that I look forward to every year....and I remind them...."you are bringing the sweet potato casserole right?"! Halloween is coming and y'all I love Halloween...you know why? Well, if you know anything about me, it's the candy!!! I love, love, love candy corn. Like eat bags of it all of September and October. And a Reese's pumpkin....o.m.g. just leave me alone with it because it requires 100% of my attention! You know you were a true trick-or-treater when you can remember suffering through that plastic mask with holes for the eyes, mouth, and nose with an elastic band on the back so your hair could get good and caught up in it.....and by the way, what genius put a little bitty horizontal line for your mouth when the whole point was to eat candy the whole night!?! And the costume was basically you, dressed in your regular clothes, with a plastic something (costume) wrapped and tied behind your back. Oh, good times. The holidays are coming and what better time to make sure that your pantry is stocked and you are ready to cook! I love the holidays and I so look forward to cooking for my family. What I don't like is getting my mind set on cooking something and not having everything I need to prepare it on hand. Or, in the middle of something, and not having what I need to prepare it. So, I have gathered a list of essentials that you should stock your pantry with you’ll be ready to get cooking! My youngest daughter plays softball every Thursday night in September and usually 3 games that either start at 5, 6, and 7 or 6, 7, and 8. Which means that we usually make it home around 9 or later. What's the point of your story Jennifer? The point is, that usually I pick up fast food for supper on those nights because I'm not home to fix anything. Well, this past Thursday, I actually got it together and had supper for us when we got home! Have you had sweet potato fries? I have had them several times in restaurants, but I have never made them myself. So, when Chad brought home some fresh sweet potatoes one night this week, I thought - perfect time to try it out! Now, when you order sweet potato fries at a restaurant, they are usually fried. I do not fry….I am no good at it, and it makes my house stink. My hair picks up any smell, anywhere. If I go in a gas station, I smell like fried food. If I go in a BBQ restaurant, I smell like BBQ. If I go into Subway, I smell like Subway bread the rest of the day….you get the idea. ANYWAY, have I told y’all I have a little bit of ADHD??? Super Easy Tailgate Ideas That Will Make You the Talk of the Stadium on Game Day - Can You Say Winning? It's that time of year again....football!! Y'all I can't tell you how much I love football season! I am an avid LSU fan and a pretty big Saints fan too. I went to LSU and the entire time I was there, we didn't have the best football team - ok, we didn't have a winning football team at all! But, I still got myself together and romped to that stadium with my friends and watched the Tigers play! Death Valley is like no other stadium in college football, and it is definitely an experience you will never forget. When I watch the LSU football games on TV, I really do get emotional when the band plays GEAUX TIGERS! It takes me straight back to those nights, 20 something years ago, when I sat and soaked up the LSU football game experience. Corny, I know, but all true. Y'all, these are some of the best cookies ever and so simple to make, it should be a crime! Literally, 5 ingredients. And, I whipped these suckers out in no time. They don't last long around here either. Even better, you make them with a cake mix! Score! So, if you are looking for a delicious, easy and quick dessert...keep reading! Pour cake mix into a large bowl. Stir in eggs, oil, and lemon extract until well blended. Drop teaspoonfuls of dough into a bowl of confectioners' sugar until they are lightly covered. Once they are covered, put them on an uncreased cookie sheet. Bake for 6-7 minutes in a preheated oven. The bottoms may be a little brown and the insides should be chewy. Voila! That is it. Literally, didn't even need a mixer. In this picture you can see that I made my cookies a little bigger and it made 1 dozen, so you can gauge how big you like them. I usually make them smaller and they are a little flatter, and I think I like them better that way! Bottom line, doesn't matter the size of the cookie, they are A-M-A-Z-I-N-G!!! P.S. You can also do this with a strawberry cake mix and they are delicious and pretty too! P.S.S. 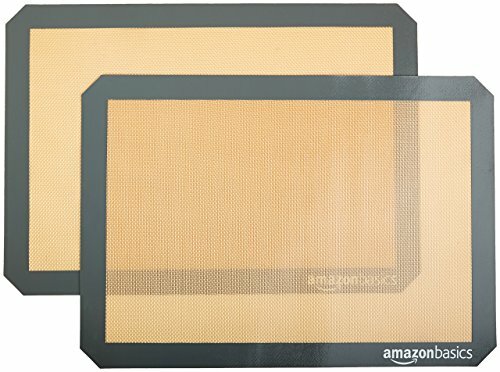 I like to use these silicone baking mats, they keep your trays nice and pretty and you don’t have to use any cooking oil! The secret to making amazing take out fried rice from the comfort of your own home! Remember when I wrote about easy and quick weeknight dinners a while back? And I promised to post this recipe for the best fried rice ever??!! Well, I didn't forget! Amazing, I know, I remembered something! Anyway, like I mentioned in that post, my kids and my hubby LOVE, LOVE, LOVE this homemade fried rice. The Perfect Mocha Punch Recipe for Any Party That is Cheap, Quick and Easy! There is a story behind this punch..... My sister and I had this punch a very long time ago at either a baby shower or a bridal shower-it was that long ago that I can’t remember. We had one glass of this stuff and I think I do remember that we embarrassingly drank way more than half! We talked about this punch for weeks and finally got the recipe.